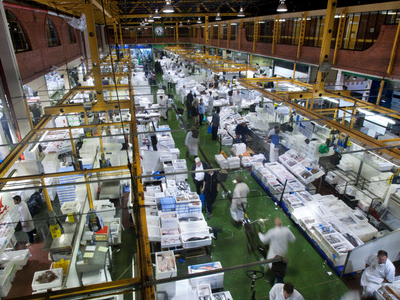 Billingsgate Fish Market, in east London, is the United Kingdom's largest inland fish market. It takes its name from Billingsgate, a ward in the south-east corner of the City of London, where the riverside market was originally established. In its original location in the 19th century, Billingsgate was the largest fish market in the World. Here's the our members favorite photos of "Markets near London Borough of Tower Hamlets". Upload your photo of Billingsgate Fish Market!